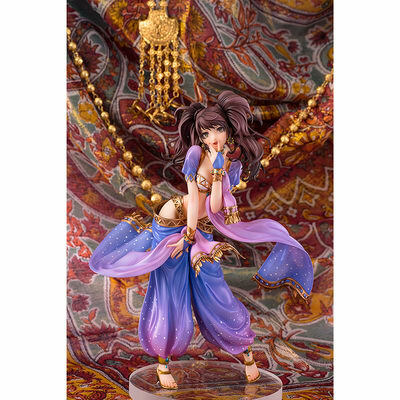 September 27th, 2016 By: GGT Category: 2017/05 release, Figure News. Aquamarine is going to release the Kujikawa Rise ( 久慈川りせ ) Arabian Armor ( アラビアンアーマー ) 1/8 PVC figure form the Persona series “Persona 4: Dancing All Night” ( ペルソナ４ ダンシング・オールナイト ). Will be released in May 2017. Around 210mm tall, 14,800 yen. Risette making a comeback with her best performance yet! 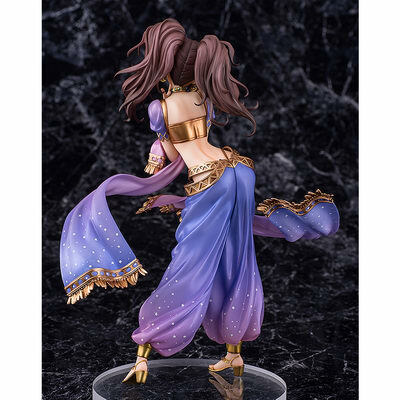 The Persona series is celebrating its 20th anniversary this year, and from the popular rhythm game in the series ‘Persona 4: Dancing All Night’ comes a figure of the idol Rise Kujikawa, known to her fans as Risette, dressed up in her Arabian Armor outfit!